What happens when you combine dry soil, heaps of rain, and a low-lying highway? Well, the rain gets repelled by the dry dirt, and gravity sends it downhill toward the highway, ultimately creating a violent river in only a matter of seconds. 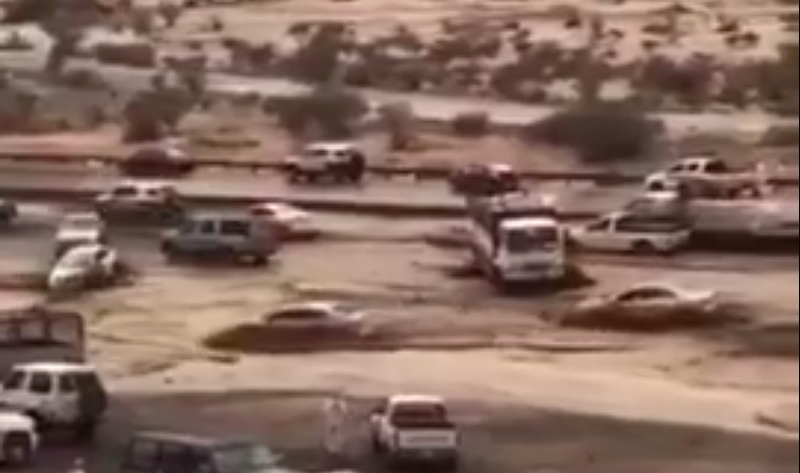 We don’t have much info on this video, but salehesam101 threw it up on YouTube yesterday, and wrote that heavy rains caused flooding in low-lying areas of Jeddah, just west of Mecca in Saudi Arabia. Hopefully nobody was hurt. On the plus side, at least traffic seems to be flowing pretty well.